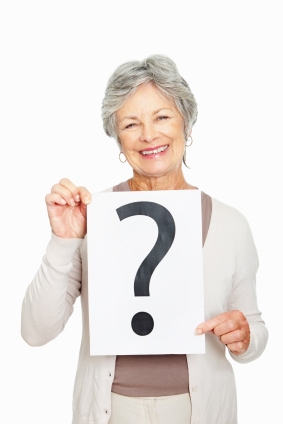 Home / FAQ / Do I qualify for senior health insurance? In order to qualify for senior health insurance you must be 65 years of age or older, and a current United States citizen. If you are interested in enrolling in the government’s Medicare program, there are certain requirements, enrollment periods, and important coverage information, which is all, discussed in the following article. Compare online health insurance rates by entering your zip code now! Medicare is a federal government program, which helps to meet the needs of the elderly and retired U.S. citizens. The program has been in existence since 1965 and is funded from monies taken out of payroll taxes, premiums, and revenues from miscellaneous taxes. What is the enrollment period for senior health insurance? The government is very strict about when seniors can enroll in Medicare. You can enroll in the program three months prior to your 65th birthday until three months after your 65th birthday. However, if you miss this enrollment period, there is an open enrollment period every year from January 1 until March 31. If you do not enroll when you become first eligible for Medicare, you could be forced to pay an extra 10% – 20% on your premium for the time that you could have been enrolled in the program. If you are working when you turn 65, the government will not penalize you for signing up late for Medicare as long as you are covered under your employer’s group insurance plan. However, you must sign up for Medicare within eight months after you are no longer covered under the group insurance plan due to retirement. This also applies to the spouse of the insured. The sooner you enroll in Medicare, the sooner your coverage will start. Individuals, who wait two to three months after their 65th birthday, can expect to wait two to three months after the month of enrollment before coverage begins. What is the insurance coverage for senior health insurance? There are different parts of Medicare, which directly correlates with the insurance coverage. For instance, Medicare Part A is the hospital coverage for seniors. In addition to hospitalization, Part A covers in home health care, hospice, and nursing homes. Part B of Medicare provides the benefits to physician services like doctor’s visits, outpatient care, and certain home health care coverage. In addition to the physician services, Part B also covers preventive health care services. Medicare Part D is the prescription benefit portion. The coverage is actually through outside health care companies, which Medicare is in contract with to provide prescription drug coverage to seniors. What is the cost of senior health insurance? There are various premium costs per each part of Medicare. For instance, Part A is free as long as you get Social Security, are retired from the railroad, or retired from a government position. If you do not qualify for the free portion of Part A, there are monthly premiums associated with Part A. The average cost of Medicare Part A is $450 a month. If you have difficulty paying this premium, you can apply to your state Medicaid office for financial assistance. If you decide to enroll in a supplemental plan like those offered for Medicare Part C, the costs would vary depending on the private health insurance company and the coverage you select. For prescription coverage under Medicare Part D, the costs of prescription coverage will also vary depending on the company you elect to receive your prescription drug coverage. Find and compare senior health insurance quotes for supplemental coverage by entering your zip code into the toolbox now!